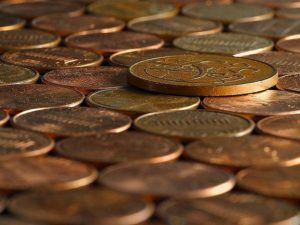 It has once been said that those “who look to get rich on penny stocks may find themselves penniless.” A penny stock has various definitions. The US Securities & Exchange Commission states that any stock under $5 per share, which does not trade on a national exchange is a penny stock. However, really, any stock, irrespective of the price of that stock, where the company has a market capitalization of less than $300 million is a penny stock or micro-cap stock. These securities typically trade on the Over the Counter Bulletin Board or in the Pink Sheets, but can also be found trading on places like the Vancouver Stock Exchange. The problem with most penny stocks or micro-cap companies in most cases is the lack of disclosure, as in most cases these companies are not subject to the full blown periodic reporting requirements as other public companies. Another problem with penny stocks or micro-cap companies is that they are often subject to manipulation schemes, the “pump and dump,” and a variety of other intensely fraudulent practices. Most penny stocks or micro-cap companies are the product of a reverse merger. Old dormant public companies, generally without a business, without any assets, but with shareholders, may acquire an actual start-up company or operating company in exchange for otherwise worthless stock in the old public company. Usually, these companies being acquired have an interesting story or product, and after the company is acquired through the issuance of additional shares, the acquired company’s owners may now own 90% or more of the new company. Because there may be hundreds of millions of shares now outstanding, companies often declare a reverse split. The key shareholders of the former company may have stock to sell, by agreement, in connection with the merger, there may have been warrants or private placements issued along the way, which could under certain conditions turn into free trading stock, waiting to be sold into the market place, and thereafter, the price of the stock is merely a matter of supply and demand. The supply may be limited, and rest in a few hands, as promoters, unscrupulous retail stockbrokers, and others drum up demand for these securities. Vigorous enforcement actions by the US Securities and Exchange Commission and the Financial Industry Regulatory Authority have enjoined such conduct, and over the years, suspended or expelled offending broker-dealers. However, these practices continue. In 2013, the Securities and Exchange Commission instituted an action against John Thomas Financial, Inc. and Anastasios Belesis for generally micro-cap fraud involving America West, a defunct domestic coal producer in Utah. John Thomas Financial became America West’s investment banker and from 2008 through June 2011 paid John Thomas Financial 13% commission on all funds raised. America West was also required to issue stock including 10 million shares to Belesis and his related entities. John Thomas Financial went on to promote this stock, and was found by FINRA to refuse to accept customer sell orders, while Belesis and his control persons “improperly threatened, harassed, coerced and intimidated John Thomas brokers from selling these securities. While refusing the sell orders, Belesis and John Thomas Financial sold most of their shares earning more than $1 million. In January 2015, the US Securities & Exchange Commission charged Oppenheimer & Co. with violating federal securities laws for improperly selling penny stocks in unregistered offerings on behalf of customers. According to the charges, Oppenheimer executed the sale of billions of shares of penny stocks for one of its off shore customers while purporting not to know that these shares were being re-sold to US residents. Oppenheimer agreed to admit to the alleged wrongdoing and also agreed to pay $20 million to settle the charges with the SEC and in a related action by the US Treasury Department’s Financial Crimes Enforcement Network.